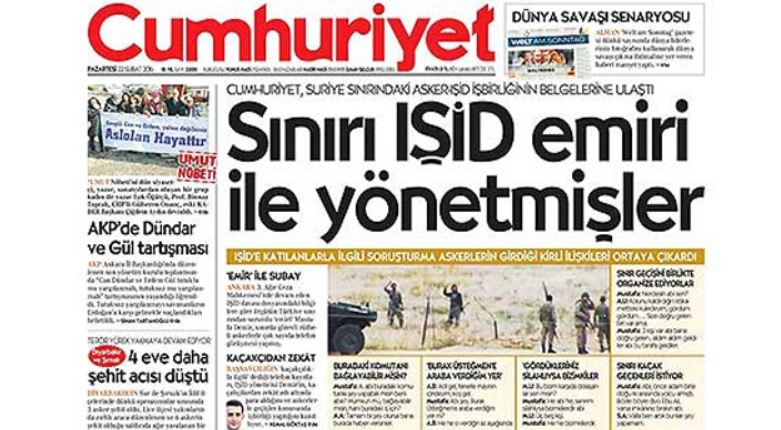 Further proof of ties between the Turkish military and Islamic State fighters operating on the Syrian-Turkish border has been revealed in the Cumhuriyet newspaper, which published more transcripts of telephone calls between the jihadists and officers. The documents are said to come from an ongoing court case on Islamic State at the Ankara 3rd High Criminal Court. The investigation was reportedly prompted after six Turkish citizens reported to police that their relatives had joined the terrorists. At least 19 people came under surveillance as a result and prosecutors then charged 27 individuals. The new transcripts published by the daily Monday, February, 22, are said to be conversations between Turkish officers and Mustafa Demir, a member of Islamic State who is a leading figure on the Syrian-Turkish border. In the first transcript Demir is talking to a Turkish military officer.